If you live in the US, you get the full-blown Google experience. If you live in Japan or Australia or anywhere outside of the US, you may not have the same search results as I would. The reason being is, if you look at the Google address you are going to, probably like many other sites in the search results, you have a country code in your top-level domain (TLD). This may be Google.co.uk or Google.co.au. This isn’t bad. However, it is an inconvenience if you want to search the WORLD WIDE web. There is a fix for this if you are using Google Chrome. You can take out Google’s urge to search for sites with your country’s TLD. Here is how to make this happen. Here is a list of the basic things you will need to complete this task. Most operating systems have some kind of text editor preinstalled. Once you are sure you have all of these things, you are free to proceed. If you are in anyway unsure about what you are doing, you may want to ask someone for help. It is never a bad idea to make a copy of any files you are about to edit. 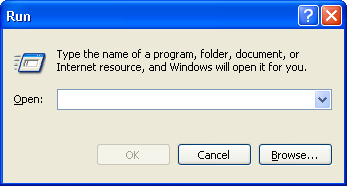 In Windows XP, Vista or Windows 7, you can go to the Start Menu and select Run. What this will do is tell Google Chrome to look for sites all over the world, not just sites ending in .co.uk or .co.jp or whatever your country is. If you see an info bar that asks if you want to switch to your local domain or keep google.com, choose the second option. You can always use e URL – http://www.google.com/ncr (no country redirect) link to use the main Google search instead of your country’s TLD, but that is just a temporary solution. If you need a permanent solution, just follow our guide. If you are doing research or looking to break the barriers of your country, eliminating the default location Google Chrome sets for you may be like seeing colors for the first time. You may see sites you haven’t seen before. View videos without the accent you are accustomed to hearing. Google can assume certain things about the way they think you want to search for things in their engine. Google isn’t always right in their assumptions. Little hacks like this will let you search the way you’d like, not the way they think you want to search. Previous articleWhat is Snap Feature in Windows 7 and How Does It Work?